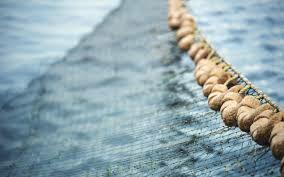 Are you casting your recruitment net wide enough? A new study reveals 78 per cent of people would relocate for their dream job. Are you looking far enough afield? If you’re struggling to find the perfect person to fill a position then it might be time to cast your recruitment net a little wider – one new survey says many people would move to the other side of the world if the offer was right. The question “How far would you be willing to relocate for your dream job?” was posed by recruitment giant Monster and more than 5,400 people responded. Of them, 32 per cent said they would move to the other side of the world, 23 per cent said they would move to another country and 23 per cent said they would move to another city. Just 22 per cent said they would not be willing to relocate. Canadian workers were among the most enthusiastic about relocating with 45 per cent saying they’d up-sticks and shift around the globe to get their ideal position. German respondents were most loyal to their home country with 58 per cent saying they are completely unwilling to move. Ken Hemphill is the VP of HR at Vancouver-based rehab Back in Motion – he found the solution to a difficult staff shortage by taking his search overseas. But HR can’t just hop on the first flight to Europe when they have a difficult position to fill – so where do you start? Hemphill says in the age of social media, there’s no excuse for HR professionals not to be reaching a global audience of applicants. Hemphill suggests making promotional videos to increase your company’s online presence and having any international business contacts share them whenever possible.